Governments have moved fully in accrual accounting. Modified accrual and cash accounting have pretty well disappeared. We are now starting to see the implications of all this s governments must now fully acknowledge future liabilities such as pensions for the first time. Partly because of the financial crisis and partly due to increasing constraint, governments now are building way to cut back, and reallocate as never before. Public administrators have to move from being budget maximizers to budget adapters. Accounting standards are going global, through IFRS replacing country-centered GAAP. The drive for managers to be more financially savvy, or literate as i call it, has grown. What I see, however, is that public organizations have to be more financially literate at the levels of culture and governance as never before as well. Delivering public goods has become more complex as governments contract more, create special purpose agencies and engage in more and more public-partner arrangements or private financing schemes. It all adds up to more skills demands not just from financial experts but also managers in general. 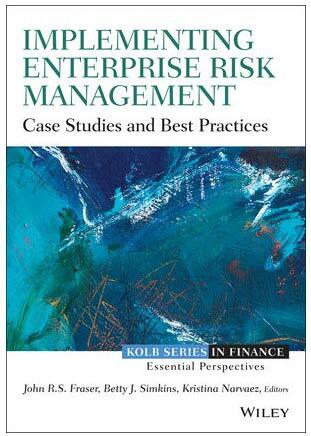 This is somewhere between a minor piece of self -promotion and awe at the capacity of John Fraser and his colleagues, Betty J. Simkins and Kristina Narvaez to pull together such an array of case studies and best practices in their new book, Implementing Enterprise Risk Management, Case Studies and Best Practices, just out from Wiley. Aside from the fact that i contributed one of my cases, Developing a Strategic Risk Plan for the Hope City Police Service, the book contains a thoughtfully assembled array of very helpful cases, ranging from the application to strategic decision-making and planning to how to teach risk management to more technical or detailed aspects of the implementation of risk management. I have been involved with this issue for years now. So many organizations and people working in them believe in the concept of effective risk management, but founder on how to get there and how they gauge that their there is where they need to be. Too many settle for what I see as paper compliance and excessive process that passes for busy work, seems to fill the bill and gets an audit check when needed. Of course, this hardly is implementing risk management in terms of culture, linkage to both strategic and operational activities and informing the judgement of everyone in the organization and beyond. John Fraser has been a thought leader in enterprise risk management in Canada and around the world for many years. From his position first as Chief Risk Officer at Hydro One Networks and now Senior Vice President of Internal Audit, he built ERM, implemented it, but then learned from that experience and extended it to applications in many companies and public organizations. He lead the Conference Board of Canada Risk Management Executive Group as chair of its advisory board. 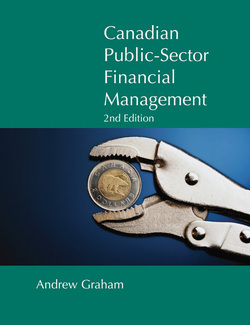 He has spoken widely and published very successfully not just this book, but its companion piece, Enterprise Risk Management, also published by Wiley. Get this book. Go to http://ca.wiley.com/WileyCDA/WileyTitle/productCd-1118691962.htmlThis is somewhere between a minor piece of self -promotion and awe at the capacity of John Fraser and his colleagues, Betty J. Simkins and Kristina Narvaez to pull together such an array of case studies and best practices in their new book, Implementing Enterprise Risk Management, Case Studies and Best Practices, just out from Wiley. Aside from the fact that i contributed one of my cases, Developing a Strategic Risk Plan for the Hope City Police Service, the book contains a thoughtfully assembled array of very helpful cases, ranging from the application to strategic decision-making and planning to how to teach risk management to more technical or detailed aspects of the implementation of risk management.